Free to play card game by Blizzard, the legend behind Starcraft/Diablo/Warcraft series. Mod edit: I'm remaking the thread, it got deleted by my mistake. Im the only one that doesnt copy some champions deck in this game. what happened to previous thread? They should add weekly tourneys to this game and award gold/cards to the top 32 winning players. Game is becoming hard for newcomers, who have to purchase a lot of the vanilla cards plus 3 expansions, in order to make legend capable decks. kolento deck is really cool. any tips for mulligans as priest? I try to get the cleric, power shield, blademaster and toughtsteal. Should I keep auchenai and circle of healing if I get them? maybe just against aggro decks? isnt this pay 2 win? 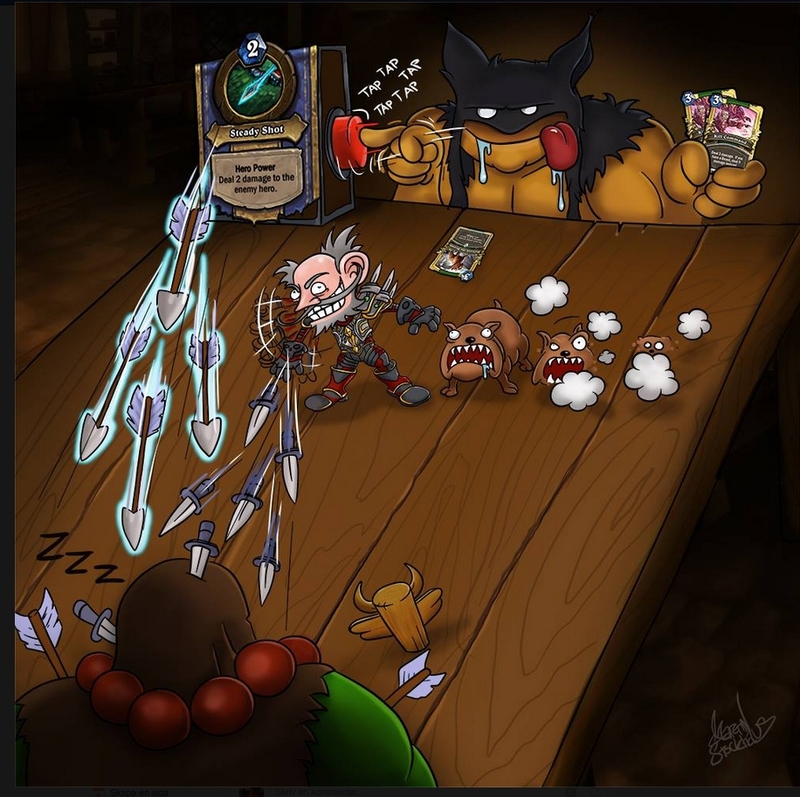 In order to counter more effectively the rush decks they need to introduce new cards (low cost healing minions; battlecry: hero immune, disable other hero power etc...). I don't see any good cards in the current expansion for that. agreed completely. but i think warlock aggro is way worse than hunter is. ive toyed around stuffing my deck with kezan and harry jones which allowed me to beat the piss out of hunter but now im seeing aggro warlock more than hunter so i have to cater to that as well.